We couldn’t provide our vital services without the generosity of people like you. Help us continue our work to stop the badger baiting – make a donation today. We’re the closest we’ve ever been to illegal badger persecution becoming recordable and notifiable to the Home Office. From all of us here at Naturewatch Foundation, we’d like to say a HUGE thank you to those of you who wrote to your Police and Crime Commissioner (PCC) in early 2018 about why wildlife crime should be better recorded and reported on. Because of your letters and emails, the Home Office received a very clear message that recordable and notifiable wildlife crime isn’t just something wanted by animal welfare and conservation charities, but also law enforcement agencies and the general public. In the summer of 2018, the National Police Chief’s Council published their Wildlife Crime Police Strategy for 2018-2021, which included ‘widening the number of recordable wildlife crimes so as to better understand and reflect the range and scale of the portfolio’. This strategy was signed off by every Chief Constable and every PCC. We met with the Home Office, together with other members of Wildlife and Countryside Link, to put our case forward about why wildlife crime should be made recordable and notifiable offences. We worked with the National Wildlife Crime Unit (NWCU) to write a submission on why badger persecution should be included in the list of proposed recordable and notifiable wildlife crimes. Subsequently, we have also submitted a response the DEFRA consultation - "Wildlife Crime Notifiable Offences Review 2019". Why should badger crime be recordable and notifiable to the Home Office? The sheer evil and brutality of a person who finds badger baiting entertaining is simply abhorrent. Yet the Home Office is still failing to collect vital information about this sadistic blood sport, instead classifying badger baiting as a ‘miscellaneous’ crime in England and Wales. This means cases are bundled into a category containing thousands of other unrelated offences like ‘littering’ and ‘failing to have car insurance’. Most wildlife crimes in England and Wales are cast off into this ‘miscellaneous’ void, and our precious wild animals are dying as a result. Scotland and Northern Ireland are already accurately and consistently recording wildlife crime, and their success stories are testimony that this simple administrative change is fundamental to protecting Britain’s wildlife. Thanks to a report published by Wildlife and Countryside Link, the Government has been presented with a compelling case proving the need to effectively record and monitor wildlife crime in England and Wales. 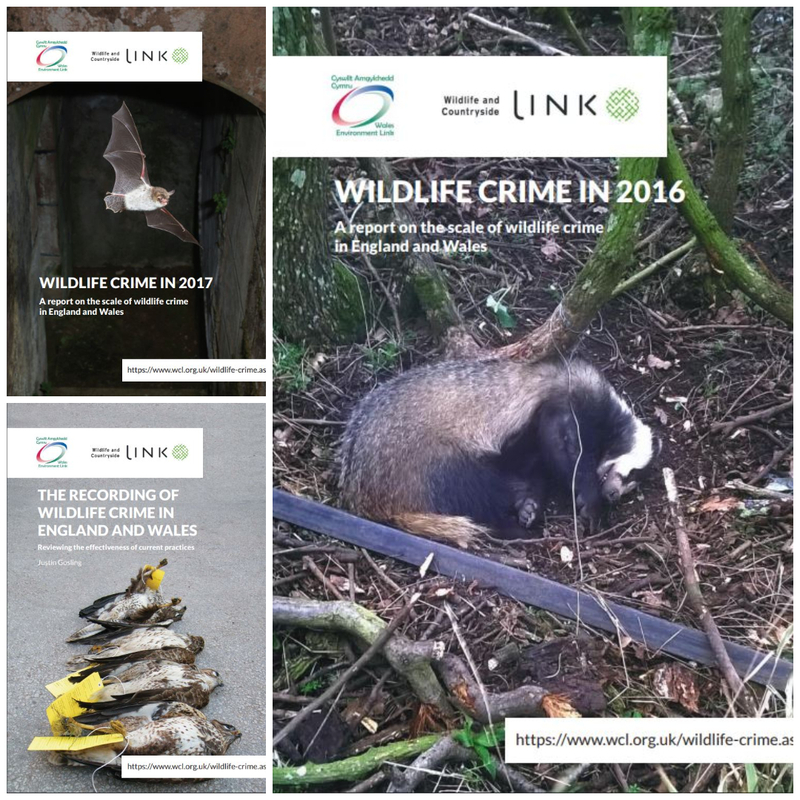 Wildlife and Countryside Link has also published Wildlife Crime Reports for 2016 and 2017, highlighting the hidden deaths, suffering and impacts of wildlife crime in England and Wales, in the absence of consistent data from the Home Office. We contributed significantly to the content of the badger sections of these reports. We are calling for all wildlife crime in England and Wales to be centrally recorded by the Home Office, with the inclusion of police recording codes for each type of crime, and for an annual wildlife crime report to be published. We strongly believe the government can no longer ignore the fact that it’s currently failing in its duty to do all it can to protect wildlife. We have every hope that we’ll soon be celebrating the news that badger crime is being consistently recorded and reported on by the Home Office – something we’ve been campaigning for, for many years!